There are ten world heritage sites of UNESCO in Nepal. Seven of them are in the Kathmandu valley(Cultural sites) and the other three are out of the Kathmandu valley (Natural sites). The old, historical, and famous heritage sites are tourist attraction nowadays. Thousands of travellers do heritage tours in Nepal every year. Nepal may be poor country as economy but it is by culturally, naturally, and historically rich. The people of Nepal are mostly honest and they treat very well to the visitors. The world heritage UNESCO sites of Nepal are here. 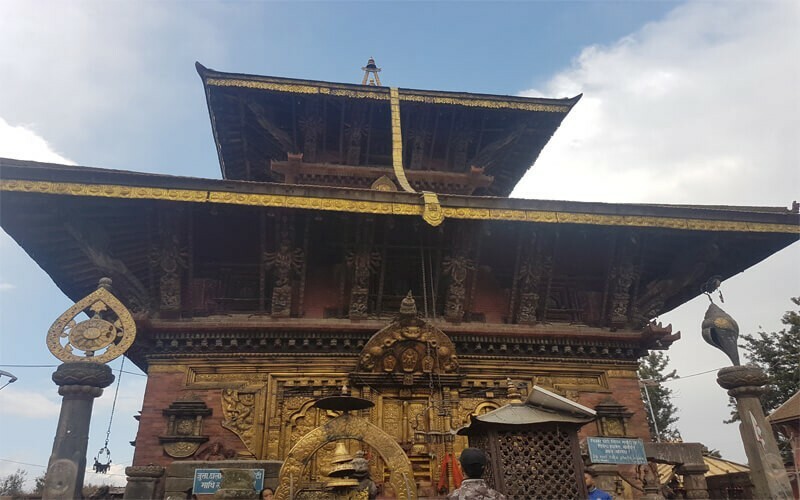 Kathmandu Durbar Square is an ancient royal palace where King Prithvi Narayan Shaha ruled the country after Nepal United. Before Nepal united, there were Malla kings were ruling. Kathmandu Durbar square is also known as Basantapur Durbar. After the Hanumana statue was kept here, then started to say Hanuman Dhoka royal palace. The Kathmandu Durbar square is a big square where the visitor can spend a minimum of two hours to see the things in here. There are lots of things to see and know about history, culture, and religion. The Kastamandap is the historical building which was made in twelve century. It was made out of a single huge tree and named as Kastamandap. This building has two meaning as Kasta(wooden) Mandap (building). The name of Kathmandu had given by this building. In the beginning, it was the shelter for the people that had been changed to Gorakhnath Temple (Hindu Temple). There are several Pagoda temples in this site. Most of them were made in the seventeenth and eighteenth centuries. Pagoda temples are Nepali style temple which we can see in China too. The Nepali artists were invited by the Chinese king to make them in China. These Pagoda temples are mostly tall with a high platform from where the visitors can enjoy the views. Stone statue of Garuda (The vehicle of god Vishnu) also is the attraction to see. The big white building here is the royal palace from where the King used to rule the country. It is a museum now. Gaddhi Baithaik is joined with it which was made in 1908 AD by Chandra Samser Rana (One of the Rana Prime minister). This building was used to visit the public and visit the living goddess (Kumari) by the King. There are some beautiful yards for different propose of Royal family inside this building. Taleju is one of the Hindu goddesses to whom people sacrifice the animals. Goddess Taeju is the family goddess of the Nepalese royal family. It was made in the fifteenth or sixteenth centuries. The main door of the temple is always closed except one day of the year. During the biggest festival of Nepali Hindu in November, one day will open the main door and sacrifice fifty-four buffalos and fifty-four goats. There are hundreds of visitors on this day. Kumari is the young virgin lady who is considered as the living goddess. The living goddess is the form of the goddess Taleju. This system was started from the eighteenth century by King Jaya Prakash Malla. Usually, a young lady with certain criteria will be chosen as the living goddess. When the lady will have the time for menstruation then they will change another lady as the goddess. For more detail, the tour guide will brief in detail of this area and the sites. Swyambhunath is the Buddhist site which is on the hill station. In the early age, the Kathmandu valley was full of water. Swyambhunath was alike an island with a natural gas flame. The Manjushree from Tibet came here and saw the flam than named as Swyambhunath( The is the god itself). Later on, the monkeys started to live here then named as the monkey temple. There are more than a hundred different type of flora and birds. Swyambhunath is also known as an open museum. We can see the good view of Kathmandu valley from here and nice White Mountain on a clear day. There are thousands of monkeys in this area because the trees are here for their shelter. The monkeys here are not aggressive if we don’t tease them. We better not to tease, not try to feed them. Sometimes the mother monkey with their baby may be aggressive if we go closer to them. There is the swimming pool for monkeys so they swim during summer. The colourful prayer flags are nicely decorated for the area. It has five different colours. They represent five different elements. The name of the flag in Tibetan is Lungta. Vasubandhu Stupa, word peace pond( Wishing pong), big main stupa, Harati(The goddess of pneumonia), Thunderbolt, a statue of Depanker Buddha(Made in the seventh century), Pratap Pura and Ananta Pura, and much more religious things are the things to see here. The Pashupatinath is one of the most famous and holy places to the world’s Hindu people. Thousands of the Hindu pilgrims from different countries visit this temple every month. This is the Shiva temple but the Buddhist people also offer one day a year. During July and August, the Nepali Hindu people go to pray to the God Shiva Every Monday. There are several different festivals according to the Hinduism. Here is the open cremation for the Hindu people. This is not one and only the cremation place in Kathmandu but this is the main one. Thirty to forty death body cremate in this place. There are different open cremation places for people according to the economic condition and ethnic group. Always the dead body will be cremated to the riverside in Nepal for any Hindu people. There is the Bagmati River which is the Holy River. Everything will be clear out to this river after the cremation. For more detail, about cremation, your tour guide will brief more. There are lots of Hindu temples around this area. Some temples are offered by different devotees and some not. The statue of Birupakkshe, Human, Vishnu, and much more are nice and attractive to see. Bauddhanath is the Buddhist site which is about eight km away from Thamel. The main Stupa was established around the fourth/ fifth century. The Bauddhanath stupa is the highest Stupa of Nepal and Second highest in the world. The Stupa has been made in Madala architecture. There are four Buddha according to Tibetan Buddhism. The relic of third Buddha(Kasyapa Buddha) inside the dome. There are about five hundred and eight-six prayer wheels around the first wall. Except for the main stupa, there are several monasteries, souvenir shops, painting school are the things to visit and see. Patan is the other city of Kathmandu valley. 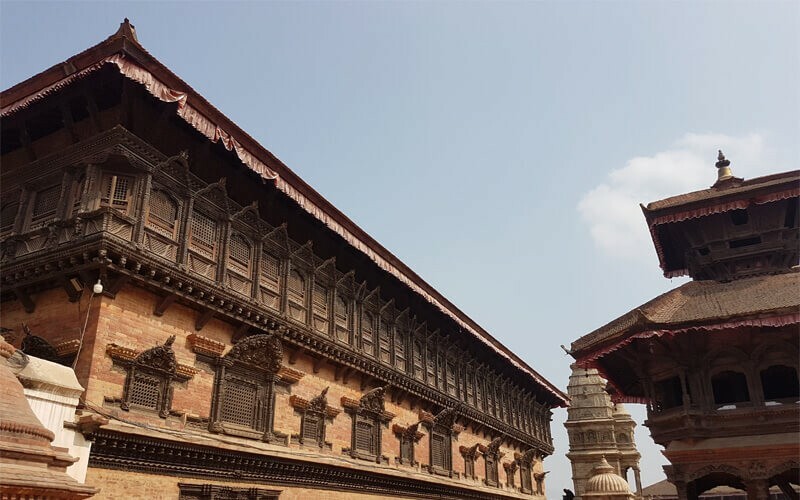 The real name of the Patan is The Lalitpur( The city of the fine arts). Patan means flat land. There was ruling by one of the Malla King before Nepal was united. 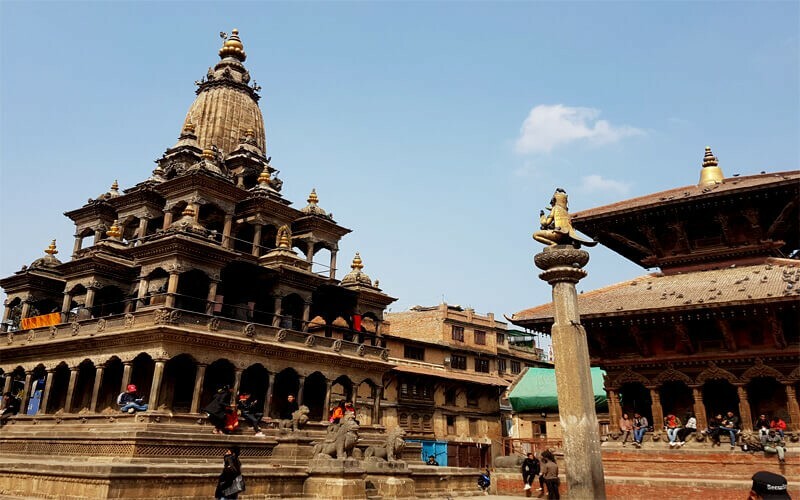 The Patan Durbar square is also known as the open art museum. The beautiful temples/buildings with nice carvings, Stone temples, and attractive yards are the main attraction of this place. The Golden Temple is known as Hiranyavarna Maha Bihar from twelve century, Khumbheshwar Shiva temple from the fourteenth century, Sundari Chok, Krishna temple and more things are here to visit and see. The Bhaktapur is the oldest city of Kathmandu valley. It was the capital of Kathmandu valley before the fourteenth century. This city is known as the city of the devotees. There are lots of old houses with artistic doors and the windows. There are four different squares as Dattatraya square, Taumadhi square, Pottery square, and the main Durbar square. A nice temple of Dattatreya( trinity gods) at Dattatreya square, the tallest temple( Nyatapola) at Taumadhi square, the clay pots at Pottery square, some pagoda temples, famous golden gate, fifty-five windows palace, Taleju temple, and much more to visit and see at Durbar square in Bhaktapur. The Changu Narayan temple is one of the most important temples for Hindu people. The temple was established in an earlier age but more famous was from the fifth century. There were not writings before the fifth century. The king Manadeva from the fifth century had put one stone pillar with writings. 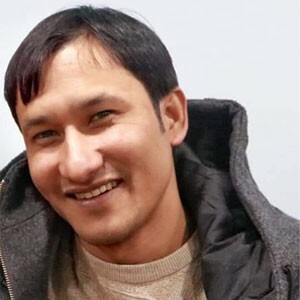 The writings are about his and his father’s ruling the country then started writing in Nepal. The change Narayan temple is a couple of km north from Bhaktapur city. The Sagarmatha National park is in the North- Eastern Nepal where the Mount Everest is. This national park was established in 1979. The area of this national park is 1148 square KM. Minimum altitude starts from 2800 M. to the highest 5364 M above the sea level. There are few mammals and more than two hundred types of birds as wildlife. The Musk deer are in this national park which is rare animals. The Chitwan National park is the place for the jungle safari tour in Nepal. It was established in 1973. Altitude of this National park is about 200 M above the sea level. The area of this national park is 932 square KM. More than fifty species of the birds are living in this national park. Rhino, Tiger, elephant, spotted leopard, sloth bear, wild boar, and much more mammals are living here. 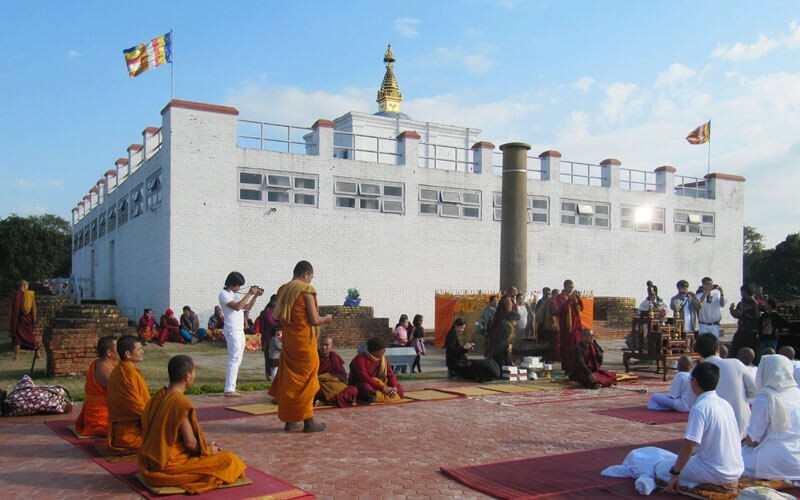 The Lumbini is the birthplace of the Buddha. Thousands of the Buddhist pilgrims and the travellers visit this place every year. Maya Devi Temple(The mother of the Buddha), Lumbini garden, Ashokan pillar, the old dome types stupas, Peace flame, beautiful monasteries, white stupas, and much more things to visit and see here. If you would like to visit these heritage sites and know more about these places please contact us for your luxury tours in Nepal.